C-6a, No Pole to Cap, Plain Edge. An R3 “Little Sister” with the weak date typical of the ’95’s. These are frequently found struck over Talbot, Alum & Lee tokens but if that’s the case here, wear has long since obliterated any trace. 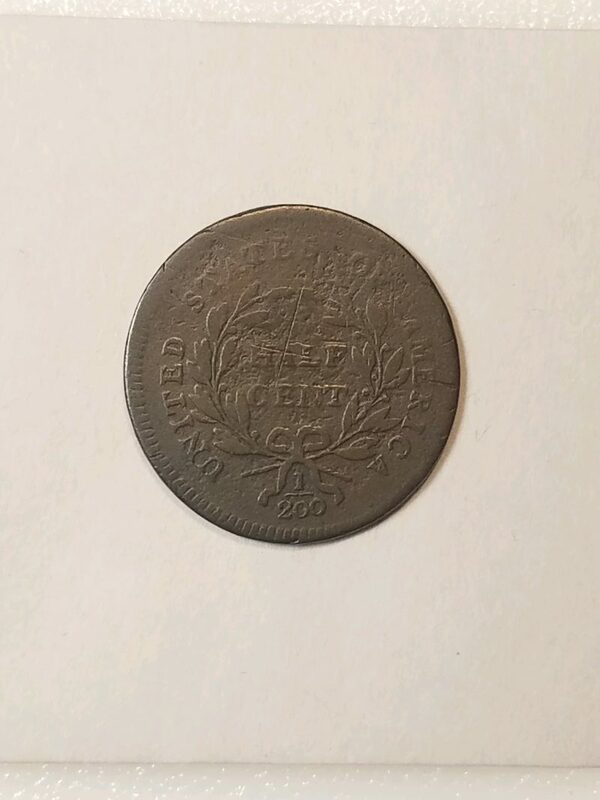 Smooth obverse with a couple of old digs, reverse hosting a batch of central scratches but better detail. 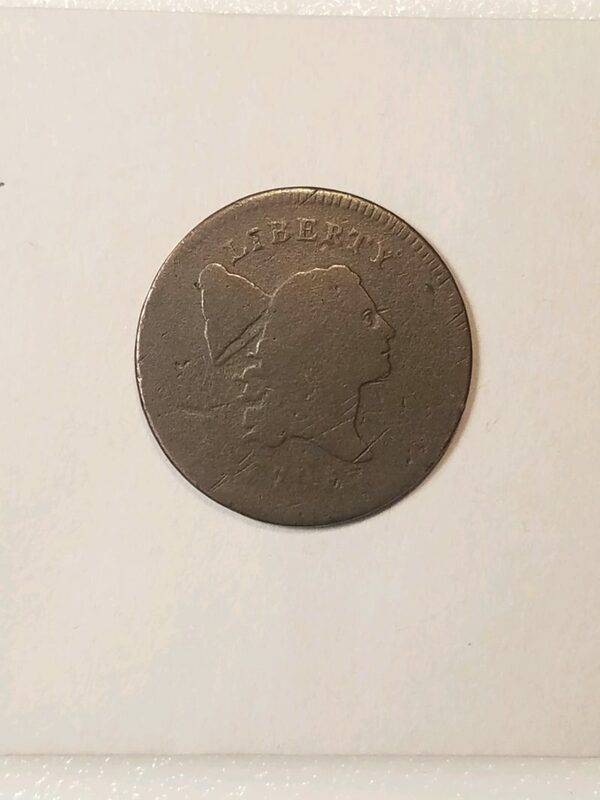 A Bargain 1795 Half Cent!